Former Chicago police officer Jason Van Dyke and his attorney Daniel Herbert listened during Van Dyke&apos;s sentencing hearing last month at the Leighton Criminal Court Building in Chicago for the 2014 shooting of Laquan McDonald. 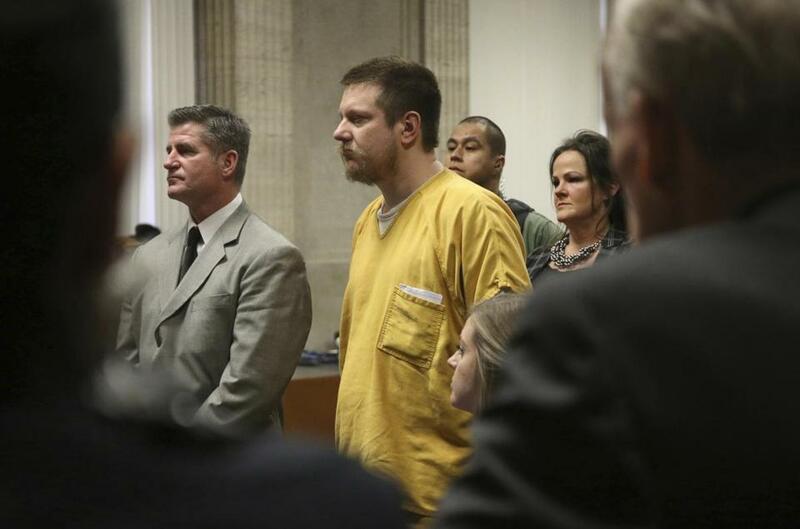 CHICAGO — Prosecutors in Illinois are challenging the prison sentence of Jason Van Dyke, the Chicago police officer convicted last year of killing Laquan McDonald, whose death galvanized the city and forced an overhaul of the Police Department. In a petition filed Monday, Attorney General Kwame Raoul and Joseph McMahon, the special prosecutor in Van Dyke’s trial, asked the Illinois Supreme Court to review whether the sentence was proper under the law. Last month, Judge Vincent Gaughan sentenced Van Dyke to less than seven years in prison for second-degree murder, a term that many people in Chicago complained was too lenient. At issue is whether Van Dyke, who was also convicted of 16 counts of aggravated battery with a firearm for each of the 16 shots he fired, should be sentenced for the aggravated batteries, which could result in a significantly longer prison term. Under his current sentence, exclusively for the second-degree murder conviction, he could be released from prison in as few as three years. Gaughan ruled that he issued a sentence only on the second-degree murder charge because it was more serious than the aggravated battery counts. McMahon said that this was the only legal avenue to challenge the legality of the sentence. He added that he believed that McDonald’s family was supportive of the prosecutors’ efforts. “Whatever the outcome, she would like this process to be over,” he said of McDonald’s mother, Tina Hunter. Van Dyke shot and killed McDonald in October 2014 on the southwest side of Chicago as the teenager walked down the street, carrying a pocketknife and ignoring officers’ orders to stop. A grainy video of McDonald’s death, recorded from the dashboard of a police car, was eventually released to the public, setting off widespread condemnation and protests. There is no deadline for the Supreme Court to decide whether to consider the petition. If it agrees to consider the petition, Van Dyke’s lawyers will have one week to file an objection. His lawyers could not immediately be reached for comment.